Sept. 28, 2017—Timmins and Ottawa, ON—Lydia Allard sings, talks and signs, but the two-year-old from Timmins whose mother describes her as silly and incredibly patient has a rare condition making it impossible to lift her limbs and head. She also can’t roll over on her own. To move against gravity, Lydia is dependent on others, primarily her parents Megan and Tyler. She needs 24-hour care. Lydia and her parents are among the first Timmins-area families to benefit from a new clinic for medically complex and fragile children. Run out of the Cochrane Temiskaming Children’s Treatment Centre with many care providers in Timmins and Ottawa’s Children’s Hospital of Eastern Ontario – Ottawa Children’s Treatment Centre (CHEO – OCTC), the Timmins Complex Care Clinic works to coordinate her care team, with Lydia and her parents at the centre. Joining the Allard’s complex care team is Karen Morris, a nurse practitioner from CHEO – OCTC’s Complex Care Program who leads the clinic’s assessments and consultations with all the local and Ottawa providers, calling upon specialist physicians when required. That’s something Morris and all the partners involved in this clinic want to hear. In addition to making lives easier, everyone involved anticipates the Timmins Complex Care Clinic will reduce the number of days in hospital and the need for visits to Emergency. Over the last three years, children seen in the clinic of CHEO – OCTC’s Complex Care Program in Ottawa have spent less time in hospital by an average of a full month (30 days) every year and have had 42% fewer visits to the Emergency Department. 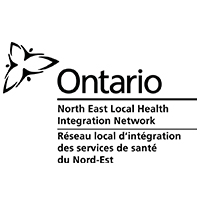 Morris travels to Timmins as needed, especially when bringing families into the program, but the CHEO – OCTC specialists are consulted using the Ontario Telehealth Network, bringing their expertise closer to home for the Allards. On the flip side, the Allards hope the Timmins Complex Care Clinic will reduce the number of trips they need to make to Ottawa, although they will still travel to CHEO – OCTC to see Lydia’s specialists twice a year. Yet, any reduction would be significant. The family’s trips to Ottawa are emotionally, organizationally and financially taxing. Lydia, Megan and another family member travel to Ottawa by Ornge. Tyler follows by car with all the necessary equipment. Each trip is a week long and means Tyler has to take time off. Then there are hotel and meal costs, plus the stress of travelling. “This is an outstanding collaboration between all the partners to best meet the needs of children who are medically complex and technologically dependent,” said Dr. Gary Smith, pediatrician and Clinical Chief of Pediatrics and Neonatal Medicine at Timmins and District Hospital, who along with pediatrician Dr. Willem Verbeek helped bring this complex care clinic to northern Ontario. The Children’s Hospital of Eastern Ontario – Ottawa Children’s Treatment Centre (CHEO –OCTC) is the leading provider of specialized pediatric health services in Canada’s capital. 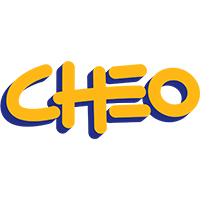 CHEO’s programs help over 500,000 children and youth each year in Eastern Ontario, Western Quebec, Nunavut and parts of Northern Ontario. As a world-class research centre and teaching hospital, for over 40 years CHEO has changed young lives in our community, while our innovations change young lives around the world. 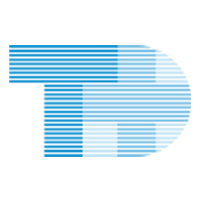 For more than 65 years, OCTC has been providing specialized care for children and youth with disabilities, including cerebral palsy, complex needs associated with congenital conditions, developmental delay, autism spectrum disorders and brain injury. The two previously separate organizations recently joined forces to become one organization, stronger together for kids and families. 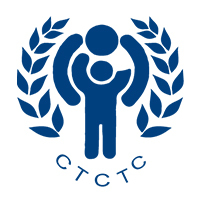 The Cochrane Temiskaming Children’s Treatment Centre serves children and youth with various physical, development, and communication challenges who reside in the districts of Cochrane and Temiskaming as well as those who live in the communities of Moosonee and Moose Factory in the James Bay area. 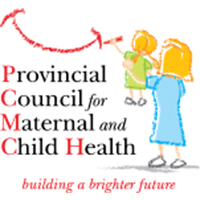 Using a family-centered approach, we deliver rehabilitation and supportive services in occupational therapy, physiotherapy, speech-language therapy, social work and therapeutic recreation through individual and group sessions, programs and clinics in Centre offices, homes, schools and other community settings.